Welcome to GammonVillage! We are located in Sanborn New York, just north of Buffalo. We specialize in Backgammon, Mah Jongg, Dominoes, and Chess. These games are our passion! Since 1999, our small but dedicated team has been working tirelessly to bring the highest quality board games to our customers. This year we celebrate our 20th anniversary! For starters, we are not resellers, like so many other stores and websites. We actually design and manufacture almost every product you will find in our store. It is not a coincidence that most of our products are available exclusively from GammonVillage. Second, our customer service is legendary. If you have any issue or problem with one of our products, we will make it right! We guarantee it! And finally, we take great pride in creating quality products that are a step above in so many ways. We are obsessed with quality and perfection. We pay attention to all the details, to ensure that you receive a product that is technically correctly, and made of the finest material available. Our beautiful collection of products ships directly to you from our large, clean, and modern warehouse in Sanborn, New York. With over 50,000 square feet of board games on our shelves, we make sure that our products are always available for you when you are ready to make your purchase. We pledge that we will ship your order as soon as possible. 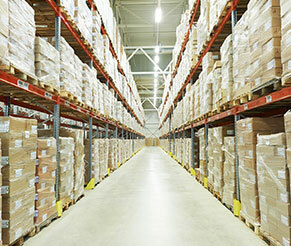 We use only the most modern technology to ensure that your order is picked, packed, and shipped quickly and accurately. Items that ship from our Sanborn, New York warehouse will ship same day if your order is received by 3pm ET. We can cover most of the USA in 2-4 business days with free UPS Ground shipping. We thank you for placing your trust with us. We are excited to share our family of quality products with our valued customers. You can contact us at any time by email at sales@gammonvillage.com, or telephone us toll free (US and Canada) at 1-866-260-2058.